Rolling resistance data provided by the manufacturer – and verified by the firm – shows the efficiencies given by the Michelin X Works tyres have helped cut its annual CO2 emissions by 209 tonnes thanks to the improved fuel efficiency compared to other tyres. 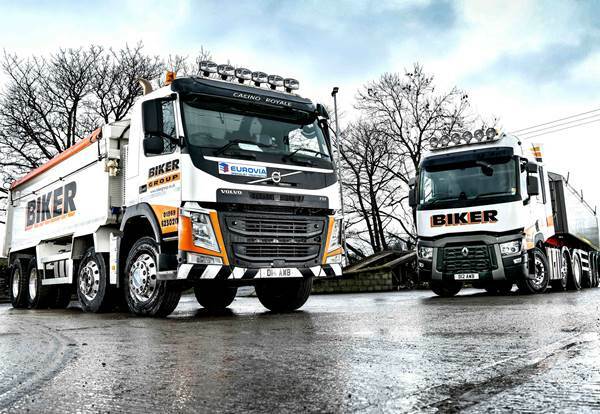 Commenting, Managing Director Tony Biker says: “On some days our vehicles may only do up to four miles, but in some pretty atrocious quarry conditions where they can take a real hammering. We also need them to be flexible enough to cater for primarily road-based deliveries at other times. The Michelin X Works range is designed for operators which do most of their mileage on roads but need traction and robustness on rough tracks and construction sites for deliveries.